While Skype in general is in desperate need of some TLC by Microsoft, the communication solution is still rather wonderful. The cross-platform nature makes it a wise choice for both personal and business use. In other words, you never have to worry if a family member, client, or co-worker is using a device that is Skype-compatible -- most modern devices and computers are. Yes, Microsoft even makes Skype available for desktop Linux-based operating systems. With that said, the most recent usable version was merely an Alpha -- functional, but hardly bug free. Today, this changes, as Skype for Linux 5.0 graduates to Beta. "Since the launch of Skype for Linux Alpha a few months ago, we have been focused on building a new experience that is in line with Skype's ongoing transition from peer-to-peer to a modern cloud architecture. We want to create a Linux version of Skype that is as feature rich as the existing Skype on desktop and mobile platforms. 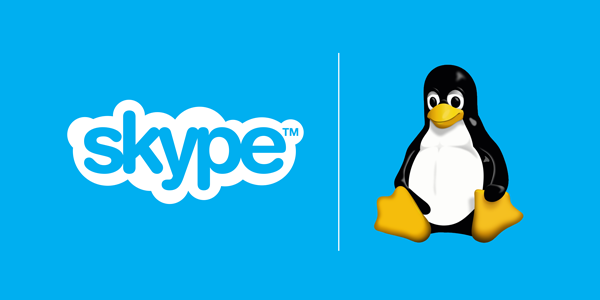 Today, we're pleased to announce that we are ready to take the next step and promote Skype for Linux from Alpha to Beta," says The Skype Team. The team shares the following significant improvements. Ready to install Skype on your Linux machine? Simply click here and download the appropriate file. Depending on your operating system, you must choose between DEB or RPM. If you are using Ubuntu, Mint, or Debian you will want the DEB. Fedora users should choose the RPM.